FREMONT ABBEY is a 104 year old brick building at 43rd & Fremont Avenue North in Seattle. The 1914 structure was reopened after undergoing major seismic, design, environment & visual improvements. Now a beautiful & welcoming multi-use venue with a warm vintage style, the Abbey welcomes events of many varieties including weddings, receptions, galas, fundraisers, parties, meetings, concerts and more. Rates vary depending on the time of year mostly and also how far in advance the date is.Your cost may be in the lower range if we are able to book another separate event on the floor you don’t need. If you cannot make a tour and need pricing right away we can let you know that typical full evening wedding membership package will be $3400 with discounts often available for Fridays or off-peak dates to bring the cost down to as low as $2000. Holidays and peak season weekends may be slightly higher. Daytime rates are approx $1700. All pricing subject to change. Unlike many venues, this includes both floors for ceremony + reception options for up to 400 people total in the building, 250 upstairs fire code, 180-220 seated comfortably for dinner. We have professional sound system for toasts and background music/DJ, our white wedding chairs and other chairs, plenty of tables, commercial kitchen, 3 dressing rooms, projector/screens on either level, vintage furniture, day of House Manager, and more. We also include an early afternoon rehearsal for Saturday evening weddings (typically the day before at 2:30pm) at no additional charge. NOTE: Sundays are not generally available at the Abbey for private events. A charming and stylish setting with dazzling waterfront views, expansive space, and rustic touches throughout. With breathtaking unobstructed views of the Puget Sound and the Olympic Mountains, beautiful hardwood floors, spacious outdoor patios and beach access, this is the perfect venue for any event. 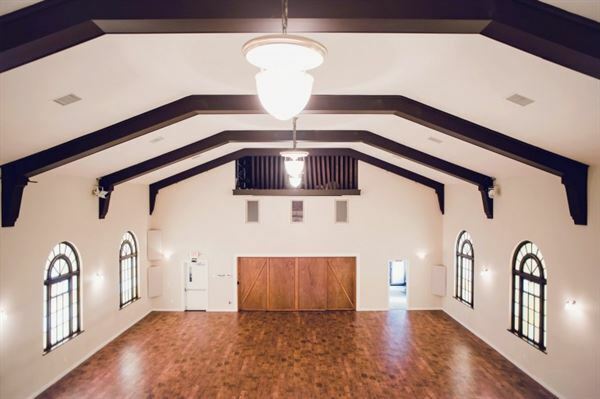 A flexible floor plan makes this an amazing space for gatherings of up to 500 people, or can be divided into separate spaces for more intimate affairs. Jewel Hospitality's professional event team will help manage all of your event details from full-service catering, floor plans, event timelines, and more. Jewel Hospitality is proud to present The Ballard Bay Club, formerly the Beach Club at Shilshole Bay.